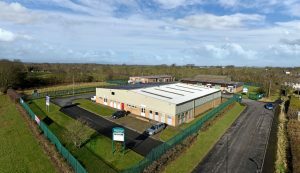 Western Bank Industrial Estate is a modern multi-let industrial scheme, situated on the western edge of Wigton, 12 miles from Carlisle. Developed in phases the property comprises 13 units within 4 blocks, with individual units ranging in size from 760 sq ft up to 5,860 sq ft. This entry was posted in Announcements and tagged acquisition by rbooth. Bookmark the permalink.